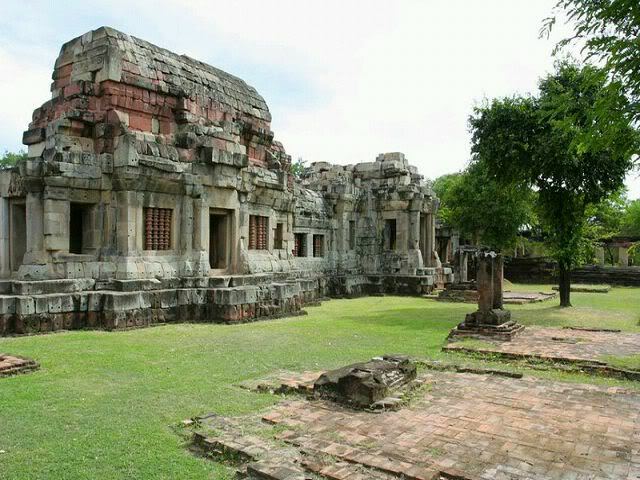 About 20 km north of Korat towards Khon Kaen is another of those historic Khmer buildings. Big difference to Phi Mai is though that reconstruction has never finished. So it kinda looks like construction site with heavy blocks lying around. Phanom Wan does not charge for admission and it isn't surrounded by tourist facilities. Likewise it isn't run over by tourists. There is a Buddhist monastery (wat) nearby: monks are taking care of the ruins. Worth a visit for discoveries.